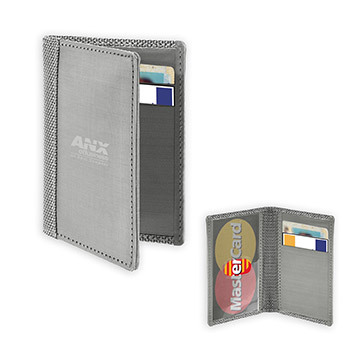 Driving wallet, 3 card slots, 2 pockets, ID window. Woven recycled stainless steel cloth, ballistic nylon. Blocks unauthorized transmission from RFID enabled credit cards & IDs.